'You're Fired!' is now a national catchphrase, thanks to Lord Alan Sugar's spirited performance on the hit BBC series The Apprentice. Personifying the East End lad made good, Lord Sugar has become Britain's favourite stroppy boss with business leaders Nick Hewer, Margaret Mountford and later Baroness Karren Brady by his side. Although the fortunes of the company waned somewhat from their peak at the end of the eighties, Lord Sugar himself continued to prosper, with business and property deals. He bought into Tottenham Hotspurs football club and spent nine years as chairman. He now also owns an executive airline, an IT company and a property firm. 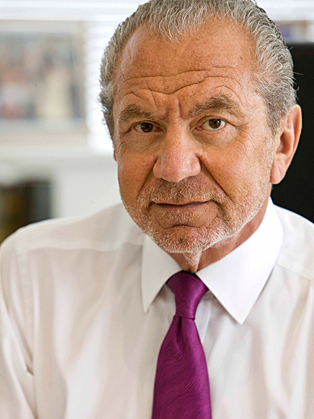 Exactly forty years after founding Amstrad, Lord Sugar stepped down as chairman in a planned move that resulted from the company's acquisition by Sky. Lord Sugar's work for charity includes fundraising for the Great Ormond Street Hospital for Sick Children. He holds two honorary Doctorates of Science and was knighted for services to business.